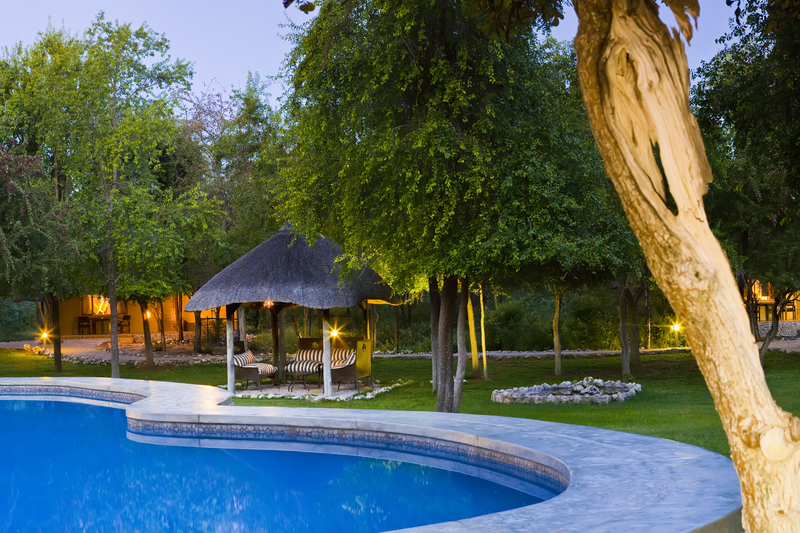 At Travel Concepts we pride ourselves in keeping our finger on the pulse of Southern African luxury and regularly sharing our knowledge (and secrets) of the very best experiences around with our international clientele. They expect and value our highly personalized opinions and recommendations on our absolute favourite places to stay, play, wine and dine. With this in mind we recently sent our young and stylish travel consultant, Mpho to Namibia for 10 days to check out what’s new and what’s hot in the luxury space. On her return we sat down with her to talk about her lasting impressions of Namibia, a country we consider as one of the most spiritual and mesmerizing destinations in Africa, with its vast Namib Desert it’s a real destination with a difference! 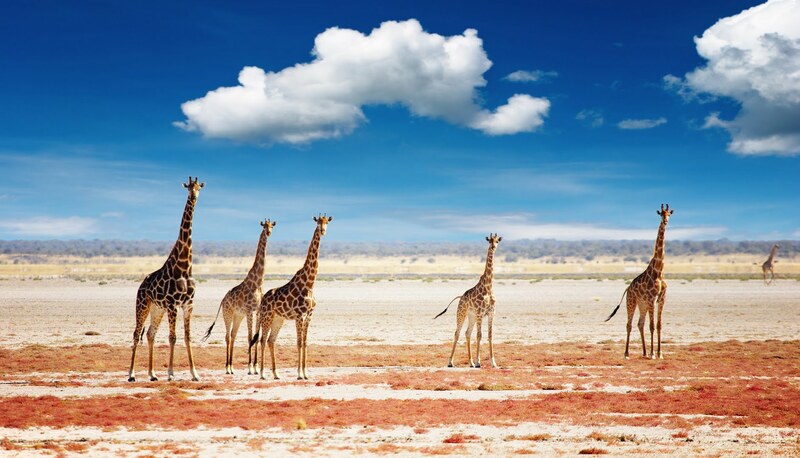 A paradise for photographers, exhilarating for adventure enthusiasts and also a rising star on the romance trail, Namibia is a barren but inviting land that captivates anyone who visits it. Let’s look at your itinerary Mpho – 9 nights and 10 days must have felt like a desert whirlwind! Tell us about your favourite lodges that really left a lasting impression. It absolutely did! However it was an incredible journey watching how the daily landscapes changed from the enormous red sand dunes of the Sossusvlei to the endless savannah and bushland of the vast Etosha National Park! Our second night in Namibia was spent at Wolwedans Dunes lodge – which was my favourite! It has massive decks overlooking the endless horizon and what is known as the “dune plateau” – just try to imagine absolute silence amongst miles and miles of red dunes! The tents are tastefully furnished with a large four-poster bed, a grand mahogany desk with leather chair, his and hers basins, a private verandah and a ginormous shower! 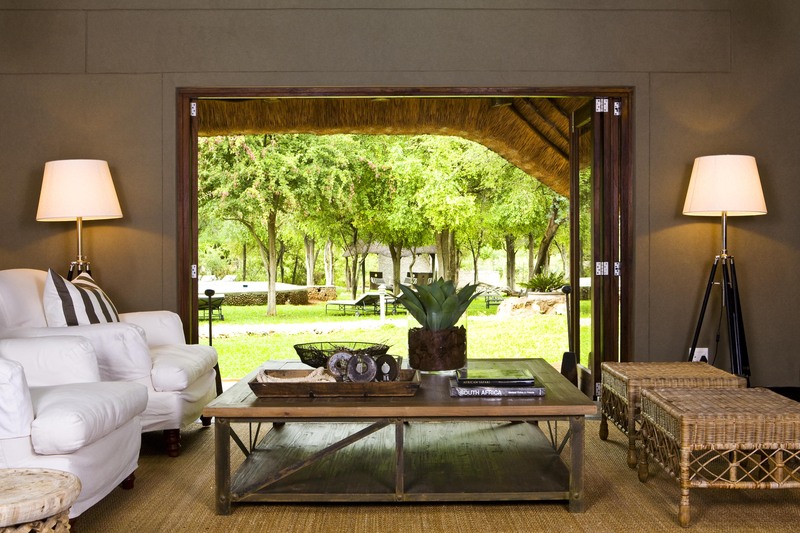 The highlight of this particular lodge has to be relaxing on the deck at the main complex where lounging chairs are available for guests so that they can enjoy genuine African sunsets – and even sunrises if you’re up for it! Lastly, the most unique feature of the lodge has to be the menu presentation during dinner, which consists of 3 waiters going through the menu in English and they then translate into the 3 different dialects of the tribes who actually live in that region. This made for a fun and different dinner experience for everyone at the table! 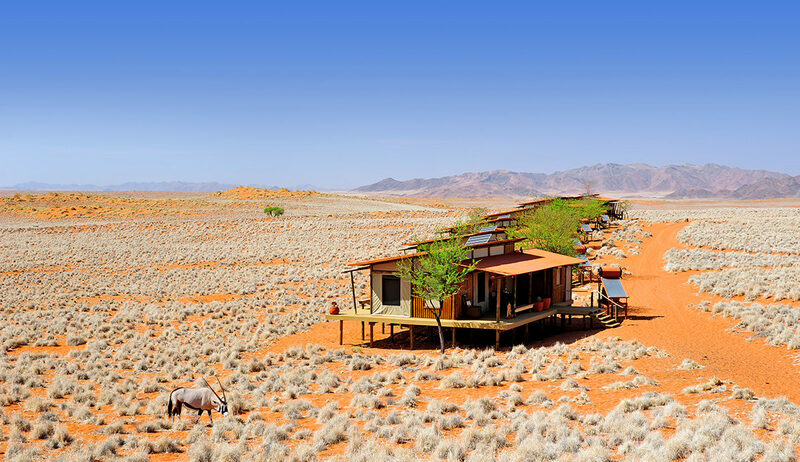 My next favourite was definitely the andBeyond Sossusvlei Desert Lodge. This lodge is very much synonymous with the andBeyond brand world-wide: luxurious, natural tones used as the main colour for the décor which works well with the colour of the dunes surrounding the property, exquisite rim flow pool, two large terraces used for lunch and dinner, lots of lounging spaces. It’s a spacious lodge but it still had a genuine feeling of intimacy and exclusivity – which I loved! 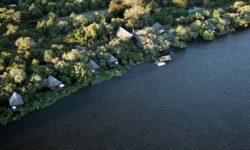 And lastly in my top 3 is Mushara Lodge. Very understated from the outside and well located by the Etosha Namutoni Gate for easy access into the Etosha National Park (no crazy early wake-up calls for a morning game drive!). 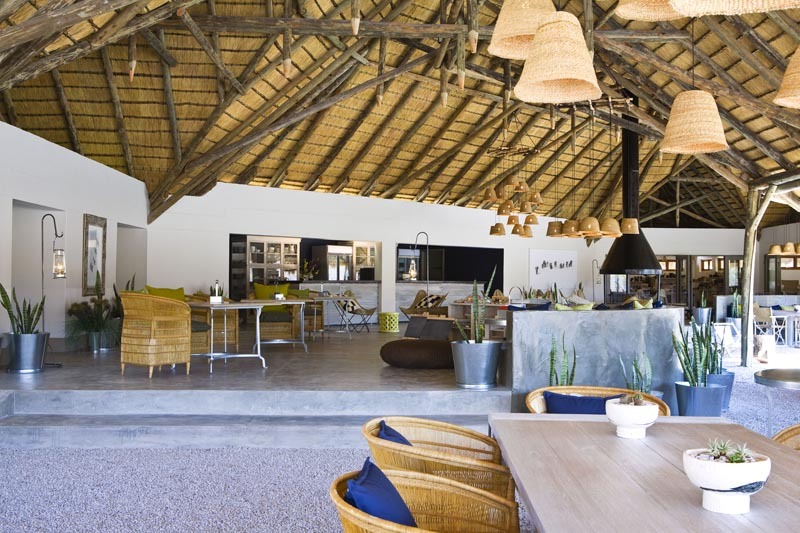 This lodge is styled like an old farmhouse with high walls, corrugated iron roof and a large wrap-around veranda that faces northeast to take advantage of the shade. The ambiance is similar to that of a well lived-in house: friendly and extremely comfortable with a light feel to it. The property also has a wonderfully inviting swimming pool as well as boma area where sundowners and nightcaps can be enjoyed. The tents also have a large four-poster bed, an impressive shower considering they are not a large lodge and even wifi in the tents – which is almost unheard of in Namibia since most lodges are in the middle of nowhere! Do you have any adventure highlights that really stood out? Absolutely! 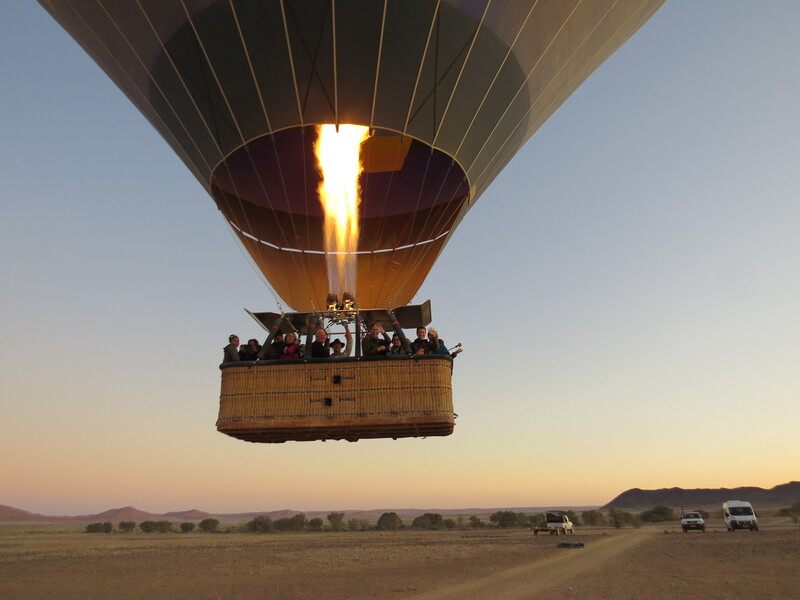 The Balloon safari gave us an incredible bird’s eye view of the Namib Desert focusing on the Sossusvlei and Sesriem Canyon areas all within the Namib Naukluft Park area. It really is a must for both couples and families, however it is more ideal for couples as there is an age restriction for children. 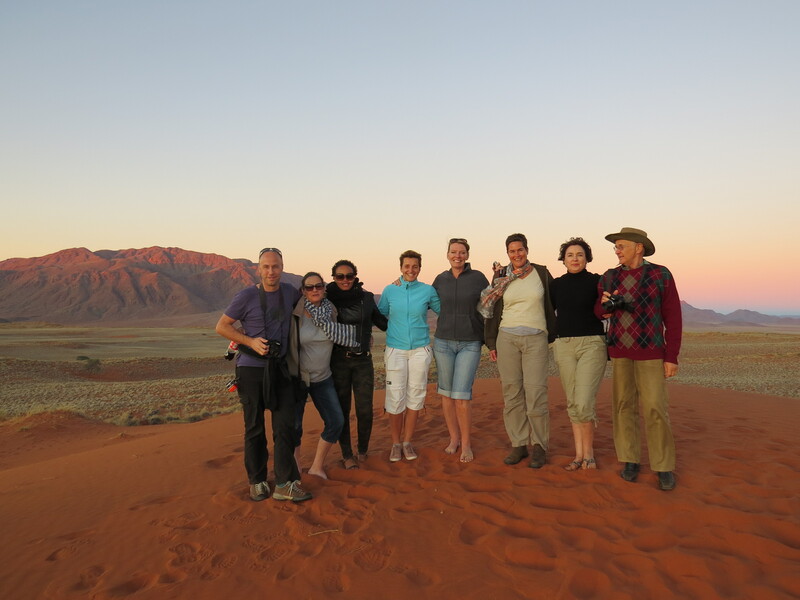 The Sossusvlei Tour is a sunrise-guided tour to discover the world of dunes including the “Deadvlei”. Seeing these dunes at sunrise is an experience I’ll never forget! It really is a must for passionate photographers! A short hike from one of the parking areas and for the more adventurous and fit travellers, you can actually climb one of the biggest dunes in the world, known as “Big Daddy”. There are a number of operators offering this tour incase you don’t want to do it as a self-drive, but the most recommended is the one offered by Hoodia Desert Lodge. 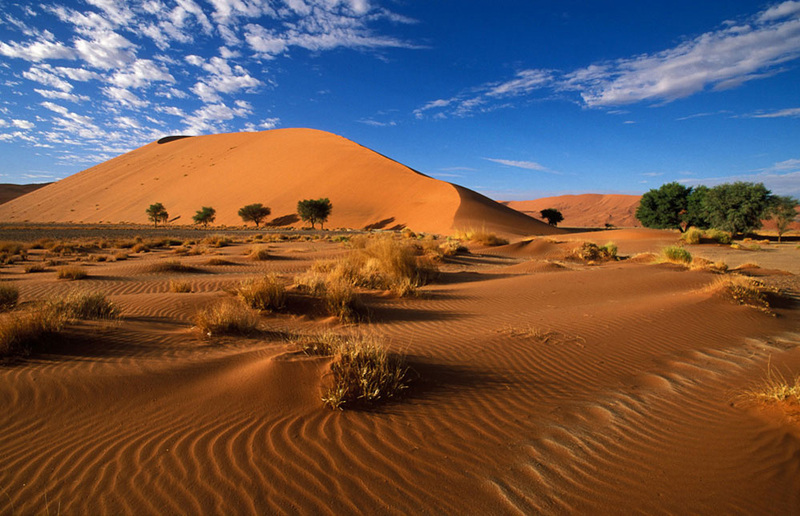 This tour includes an exclusive “Dune lunch” with fine wines, delicious food and ice-cold beverages – which is what you certainly need in the warm Namibian climate! And lastly, it goes without question that game viewing in the Etosha National Park was an exciting adventure! The park is home to a great variety of wildlife and bird life and is a completely different experience to the infamous Kruger National Park. It is wider, has different ways one can view game, either in a game-viewing vehicle or at the different waterholes located within the many camps sites in the park itself. Anybody who has already accessed the park is allowed to stop at these waterholes – even if you have not booked at any of the National Park campsites. Definitely! A holiday to Namibia is certainly not the stock standard romantic “sea and sand” destination, however couples can still expect total tranquility and romantic luxury. 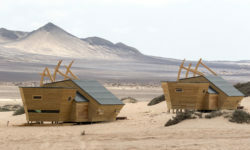 Namibia has a fantastic offering of world-class lodges that have been built in some of the most amazing locations! 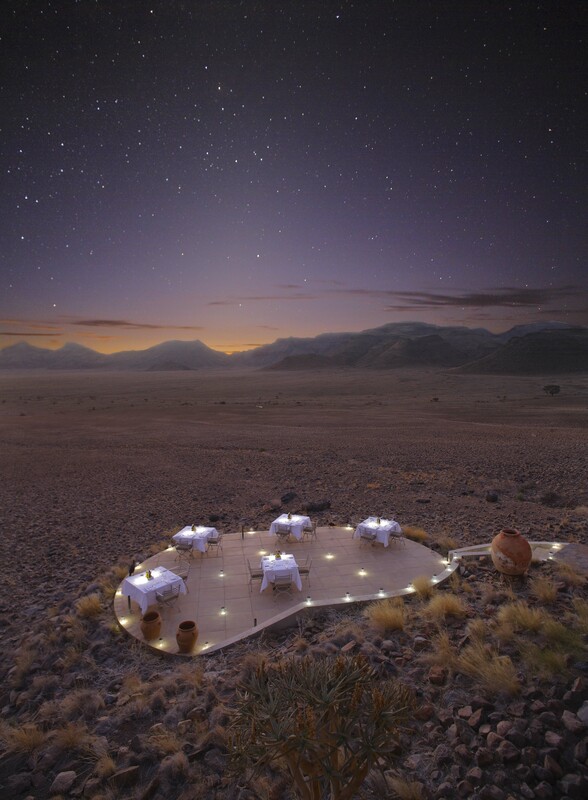 Imagine sundowners on a verandah that is completely surrounded by the vast Namib Desert with its rolling red sand dune mountains and endless horizons. And with no city lights for miles, there are even lodges that have suites with skylights over your bed for the most incredible star gazing you can imagine! Romantic intimate desert picnics in-between thrilling safari excursions has certainly put a honeymoon in Namibia on the top of my list! 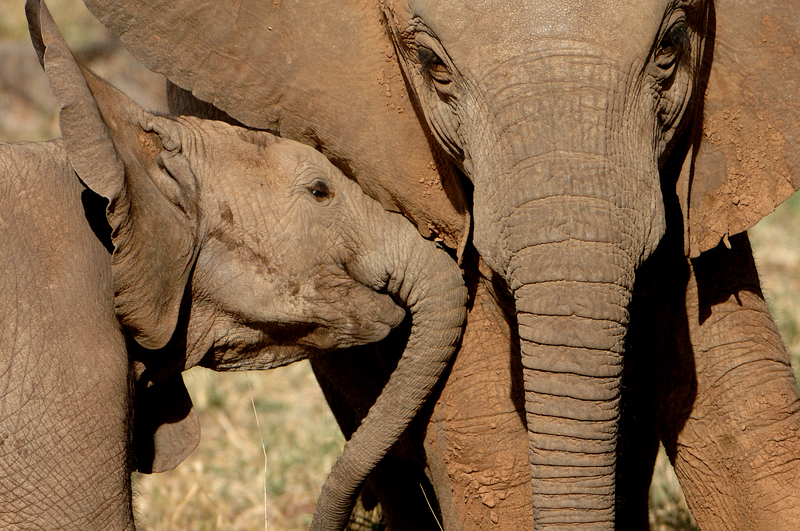 Now having visited Namibia – what are your lasting impressions that you’ve come home with? It’s definitely a country to be explored by road. The gravel roads are very well maintained which makes travelling quite pleasant. However, just make sure it’s in a 4×4 or SUV type of vehicle! Travelling by road not only means you can travel at your own leisurely pace, but also means you get an opportunity to take in the beautiful surroundings and make stops at little towns which all have their own history and charm. 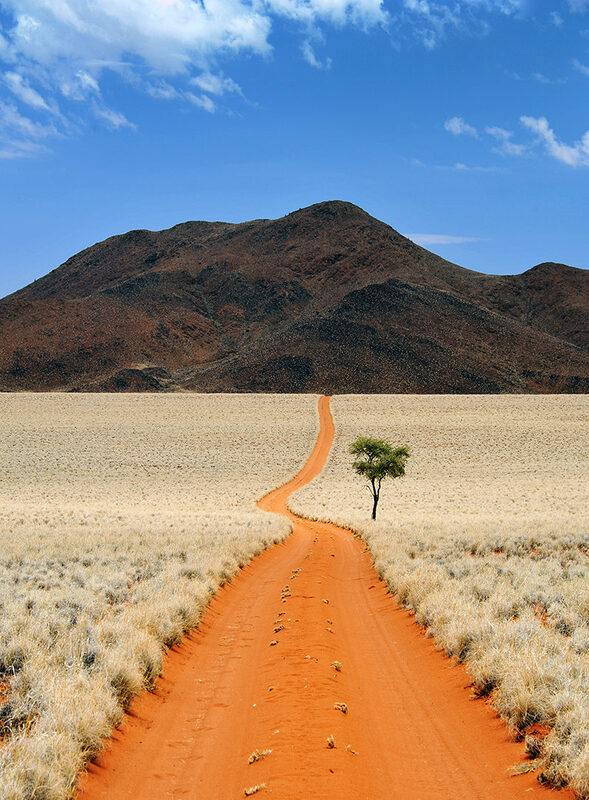 Namibia is definitely not a 3 to 5 day type of destination. In order to fully explore and experience this vast country one would need at least 10 – 21 days to really appreciate it. I really do feel that Namibia is a “must see” destination and should be on every travellers bucket list of places to visit. There is a trend that Namibia is a country only visited by those who have already had the classic safari or beach holiday in other Southern African countries, but I do hope to see adventure seekers and “First Timers” to this continent start their journey in this magical country. 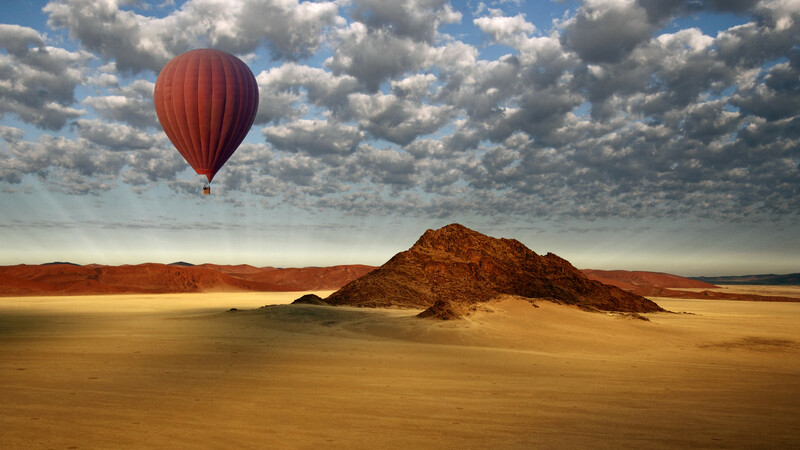 To start planning your luxury itinerary to Namibia, contact our travel team on info@travelconcepts.co.za.